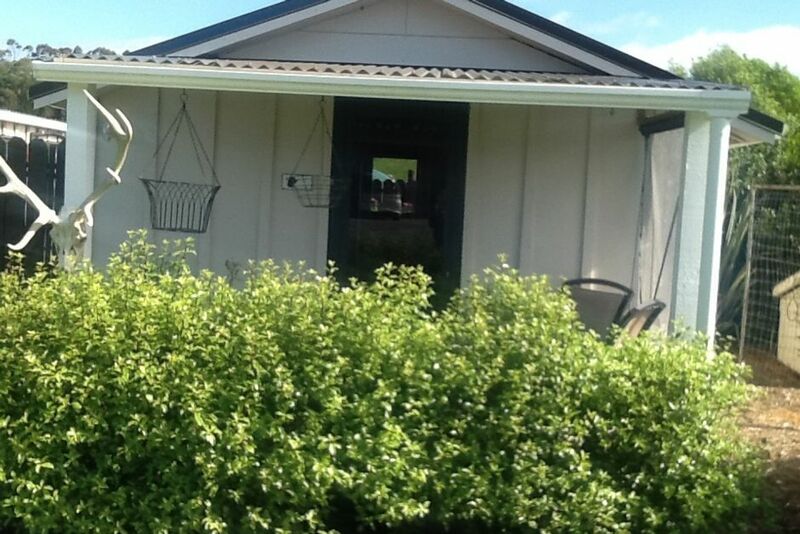 Do you need to "wind down" or just want a different experience of beautiful rural New Zealand ? Our guests have described our beds as the most comfortable in the country. Our farm runs Red Deer and a variety of other animals such as Hereford Cattle, Boer Goats, Suffolk Sheep,Heritage Chickens and Emu. We are only 15 minutes from the motorway SH 1, approximately 40 minutes from Auckland City and 30 minutes to Auckland Airport. The train station is only 15 minutes from our farm which makes a shopping trip to Auckland very easy. The fantastic Hunua Regional Park with the waterfall and swimming hole is also very close as are The pristine East Coast Beaches - a wonderful attraction for a walk or a swim on a hot day. The quaint Clevedon Village boasts cafes and restaurants and The John Hill Estate is 15 minutes drive away if you feel like a meal and tasting of locally grown wine. For lovers of oysters, "Clevedon Oyster Farm" is a must.For the golf enthusiast you can find a number of greens within a short drive from our property and If you want a fishing trip into the Hauraki Gulf this can also be organized for you. For the keen photographer there are a variety of challenging and amazing subjects and a variety of lighting opportunities so poise your artistic hand and lens and shoot away to record some unforgettable moments. Finish your day with a stroll along the quiet country roads. Birds such as Tui, Fantail, Skylarks, Herons and Finches abound in our garden. The night sky is fantastic - view the Milky Way and the Southern Cross like you have never seen them before. There are five Polo Fields in The Clevedon area and a private polo lesson is available on request. Polo horses are also bred in the surrounding area and the foals are a wonderful sight frolicking in the fields in the springtime. There are various event venues such as the New Zealand Kennel Club. Equestrian events are also commonplace. The famous Clevedon Farmers Market is open every Sunday morning. No Parties or excessive noise. Dogs must be on a lead until assessed by the owners of the property.